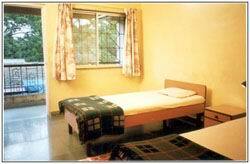 Located near to Lonavala in a beautiful rustic setting on it's own campus. There are many beautiful and sacred sites in this area. Please enquire at Atma Santulana for more info. 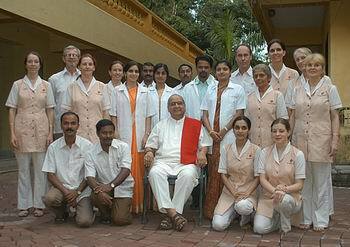 A well known clinic running as an Ayurvedic community established by Balaji Tambe. It has a lovely integration of living, being and treatment. Balaji Tambe is well known for working with sound and healing too as well as other metaphysical approaches to healing. The clinic is well regarded and frequently attended by people from Germany and neighbouring countries. Atmasantulana Village is a holistic center, Ayurvedic treatments, meditation, yoga and other programs for its resident offers. The Santulan spa, a redesigned Panchakarma is a very effective, comprehensive health program for rejuvenation, purification and treatment of diseases. Participants will receive a special vegetarian undergo diet and various ayurvedic treatments , including oil massage and steam bath , intake of ayurvedic Kräuterghee , Virechan to clean the gastrointestinal tract and particularly oil - Basti ( enema) (Program for 15 Day course of treatment). After this initial treatment, additional applications will be carried out, such as targeted treatments for heart, brain, eyes, ears, bones and joints. For those who suffer from a particular disease, these applications according to the individual as the case may be prescribed by the physician (the program for 21 or 30 days treatment). Special treatments such as rice - Massage, Shiro Basti, Uttar Basti, electrotherapy, Spine Potali etc. may be recommended in addition to the various events included in the standard treatments. We provide; Type A (1-2 persons) - Apartment with a living room with TV, a bedroom with a European bath and toilet , balcony , kitchen with gas stove, Indian Toilet, Roofed terrace, Flat B1 (1-2 people) - A room with two beds, sitting area , kitchen counter, TV and balcony; European toilet and bathroom, Flat B2 (1-2 ) - Two -bedroom unit, 2 balconies, kitchen counter in the entrance , TV and gas cooker , European , Anglo -Indian bathroom and toilet, Flat C (1-2 persons) - A room with two beds, TV, balcony, kitchen counter , European bath and toilet and Flat D (1-2 ) - Small two-room unit used in a situation first Floor has a balcony , a room with two beds, TV, the other room with kitchenette , Indian, Anglo -Indian bathroom and toilet. The surroundings are beautiful and green set in it's own campus. Various categories of room are offered based on budget from simple to very comfortable.Various categories of room are offered based on budget from simple to very comfortable. Balaji Tambe attends to patients somtimes but BAMS graduates are tending to the patients full treatments following standard Ayurvedic protocols on a high level. Prices are moderate for longer stays and quite steep for a short stay. A stay of 4 weeks is reccomended to get full benifits of the treatment. Home cooked mostly organic vegetarian food. 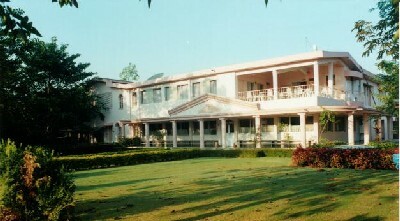 In Atmasantulana Village , on the basis of "Shri Balaji Health Foundation"And"Aum Swarupa" offered a range of training courses provided by the "International Research Organisation for Ayurvedic Health"( IROAH ) and the International Research Organisation for the Art of Living and Healing Music"( IROALHM be enabled ). International Organization for Research Ayurvedic Healing; Certificate for full body massage - 1 to 3 months, Certificate for Kundalini Massage (based on full-body massage) - 1 to 3 months, Diploma in Ayurvedic Physiotherapy ( including full-body massage and Kundalini classes ) 2 ½ years + 6 months assistantship, Certificate of Ayurveda (for foreign students) - 1 to 3 months. This training extends over three years. Of these 2.5 years of theoretical lessons and then it follows an internship for 6 months. The Theory subjects are; Ayurveda, Anatomy, Physiology & Pathology. The practical teaching includes all the Ayurveda therapies, particularly; Full body massage and steam bath, Kundalinimassage, Enema, eyes and heart – Basti, Nasya and ear – Basti & Shirodhara. Address: Mumbai-Pune Road, Near M.T.D.C. 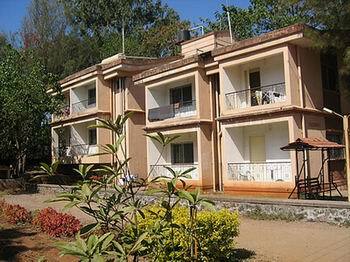 Holiday Resort, Karla - 410 405. Excellent atmosphere, Excellent Ashram and excellent staff co-operation. I had taken panchkarma treatment, It is was very good experience and quality of medicines and therapies are marvelous. Santulan products are of good quality and brings good results. Quality here is never compromised for sure. Santulan Music CDs gives relaxation, reduces stress and has healing effect as per my personal experience. Just by entering in the ashram premises it feels as if one is in some paradise land. Half the disease goes out by atmoshphere of ashram. Meditation, yoga and satasang Add-ons to one's health progress. If one wishes to do proper Authentic Panchkarma and take good quality medicines then Atmasantualana Village is only the solution. Staff is very hard working, and co-operative. Doctors are also best here. "Every one whether healthy or having some disease should atleast take a visit to Atmasantulana village. " Very very good experience we had taken panchakarma treatment in oct 2014 I, my wife & son, we feel best health treatment. Food quality is excellent, atmosphere is best. Staff is very co-operative. I hv decided to go their and take a treatment but after reading all this valuable feedback now i shelved my plan as we have to think over our hardtime and money too. I am having very bad experience with all receptionist and dr who are there to attend the peoples. They are good in advertising but not in guding the patient and giving proper treatment. So, thanks for all of you and your feedback . Thanks to god he saved my money. There is worst situation regarding hospitality. They even dosent knows how to treat the people. worst language and very non-co-operative. pl think before u visit there. I have done the panchakarma here several times and always had a great experience. The therapy is really very deep and has effects on your overall life apart from your specific illness. 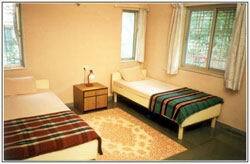 It is very different from other Ayurveda centres which seem to be doing superficial therapy in comparison. The reason behind every step of the therapy is provided in an orientation lecture some time during the stay. Considering the rooms, excellent quality of food, the atmosphere and the depth and quality of therapy, the expenses for 3 weeks are surprisingly reasonable. I don't think this kind kind of value is available anywhere else. They are clearly overbooked and also dealing with a large number of patients in the daily patients dispensary. They should open more centres. Good products and books available as well. I recommend this place to everyone I know. Doctors are not co- operative, we think that if anybody want to take treatment from balaji sir or atleast first consultation from them and they shud direct or told any best doctor by their side to treat the patient. We have got wrong experience. Doctor have not answered our questions in good manner. they just want to finish the patients. attention for such ladies.All patients are treated equal with no special attention as expected...They don't see if particular treatment eg:virechan is suitable for particular patient or not..I have taken the kadha for virechan and vomited instantly but still no body bother about it??? [and they say virechan is most important in Panchkarma as all toxins go out and you feel great lighter body as in heaven]...then they should see to it why it don't suited me.....One of my friend had no effect of virechen[she went to toilet only twice but there was terrible uneasyness in her stomach]still no attention by them?? first of all, my kudos to balaji tambe for such a great place. secondly, i would like to point out that his son sunil tambe is NOT a doctor. i have been to this place nuerous times, and found thst the doctors are not sympathetic at all. the administration ( may i add, run by sunil tambe) is worse. so, if u are sick, and need Panchakarma, go to this centre, but with no expectations of help from any quarter except some of the therapists.. I had bad experience from Atmasantulana Village. Accounts department personnel are not giving all information, non co-operative; they are making bad image of Atmasantulana Village & Balaji Tambe. I paid booking amount of Rs. 20,000 for Panchkarma. Due to personal problem, I cancelled it. They cut Rs. 4000 as cancellation amount. This is ridiculous. This is not hotel where they charge cancellation charges. Even hotels do not charge so heavily. Atmasantulana Village is making pure business. Even this business is acceptable if it is run with ethics. I requested to reduce the cancellation charges, but no response from staff. Their charges are very high. They should actually give the sharing accommodation facility to the people so that many people will be benefited with panchakarma. I have been to this palce at Karla Village Lonavla, exactly a year back, and was taken aback to see the entire ashram place strewn with litter. When I had to answer the nature's call I was shocked to witness filth and dirty water flowing in and around the toilet area. The stench was unbearable. Is this what you call as "Ashram". The staff was not co-operative at all. I pledge not to visit the place ever again. I wish to state that these people are only aiming at catering to the upper and the elite class. They should know the purpose of their existence before it is late. They are charging exorbitantly and the services in that comparison are low quality. Moreover, I found a temperament to extract maximum money from the client as they keep on charging extra all the time for various small things saying that its not included in the package, whereas a clear idea about the same was never given to me. The "A" type room that I had booked was not given to me, instead some type "B" room was given which was too crumpy and congested, however my payment difference for room "A" was never refunded. The therapist changed everyday which I later came to know that was an experimentation done on me by different trainees which I didnt appreciate atall. The therapists were good to talk with but the rest of the staff is full of countrymen and rude. You can actually see some of them spitting in and around the campus and this one is termed as an "ashram" I dont know from which perspective? The most PATHETIC AND WORST feeling struck was when I came to know that MR. Balaji Tambe is NOT A DOCTOR! I was on my toes for the next 3 days of my stay as I got an insecured feeling after knowing it. I really dont understand how he is allowed to prefix Dr. before his name? Hes some sort of guru - as termed by their staff but I also saw him yelling at the top of his voice with filled with anger and desi gallis to some of his employees! I dont know whats the definition of guru which they follow! The food was okay but they served some of the leftovers next day which is very upsetting. One more upsetting thing was that doctor never has time for you. You are guided and instructed by the therapist whos not a doctor. Even during the counselling sessions, the doctor never clearly attended my queries so always a sense of incompleteness remained. I was out of the doctor's cabin in 3-4 mins max! 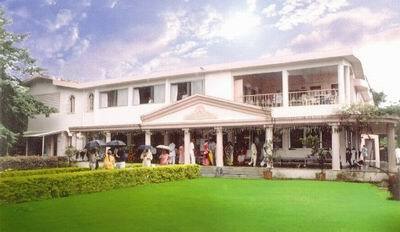 Overall rating - 2* that to because of the greenery maintained in the premises. Otherwise friends its definitely a big NO NO from my side. I have been to Panchakarma centers in Kerala and Bangalore and they were far much better than this one. People who gives treatments: * * * */ 4* - They are using trainees to give treatment lost one * for that. If you lucky, you will get good treating person. Demand experienced and certified person for treatment. Room service - * * * * */5* - Staff is response to special need. They respect your nap and plans cleaning time to accommodate your timing. Vidhya/Doctors on site * * */ 3* - Too busy to listen or explain what medicine is given for what benefits. Administrative staff who manages booking before arrival, follow-ups, response to your mail, email and voice mail: This office staff absolutely terrible in responding to email, voice mail and Pre - Post visit inquiries. I rated this team last not to overshadow excellent work done by other teams. I rate them */1* - Terrible, Terrible for popular place like this. All rating based on 5* being excellent to 1* being terrible and needs major overhaul. Very very good experience we had taken panchakarma treatment ..